"VENTILAIR ENGINEERS" is a leading manufacture supplier company of Effluent Treatment Plant for TEXTILE INDUSTRIES (ETP PLANT/STP Plant) in India abroad. The textile industry is very water intensive. Water is used for cleaning the raw material and for many flushing steps during the whole production. Produced waste-water has to be cleaned from, oil, color and other chemicals, which are used during the several production steps. The cleaning process is depending on the kind of waste water and also on the amount of used water. Also not all plants uses the same chemicals, especially companies with a special standard (environmental) try to keep water cleaned in all steps of production. So the concepts, to treat the water can differ from each other.
" Ventilair Engineers" Is a leading preparer & of effluent treatment plants for dying industries in india we have already installed 700 above waste water treatment plants in all over india. 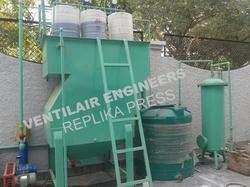 Ventilair engineers have also installed effluent treatment plant for dying industries. Ventilair engineers recently install this type of plant at mount abu RAJASTHAN FOR MODI GROUP. 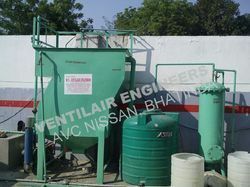 VENTILAIR ENGINEERS is a leading manufacturer supplier of effluent treatment plant for laundry. 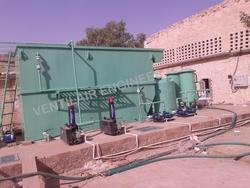 we have already installed 700 waste water treatment plant in india. The laundry wastewater load can vary considerably depending on the percentage of blue or white laundry and of mats. The wastewater from the washing process in the working clothes laundry is carried from the washing machines to a pump sump. There, special wastewater feed pumps are mounted, that use level control to carry the water to the wastewater stacking tanks via a sieving machine for lint removal.